IMMG - Institute of Mechanics of Materials & Geostructures S.A.
IMMG - Institute of Mechanics of Materials & Geostructures S.A. specializes in the focus on the provision of services in thermo-electro-mechanical testing of materials, structures and the design, development and manufacture of high-precision mechanical parts, devices and machines. Company has expanded its manufacturing infrastructure in the field of Carbon Nanotube (CNT) reinforced materials by developing and patenting a production method for aligning CNTs in polymer membranes to produce high performance nanocomposites. IMMG S.A. has designed, manufactured and tested fiber structures (carbon, glass or natural fibers) for specific applications. 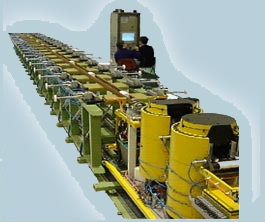 An example is the dimensionally stable platforms (4 meters long each, carbon fibers in epoxy resin), manufactured for the CMS experiment, CERN and characterized by material procurement - machining perfection and exceptional assembly precision. IMMG S.A. has designed and validated piezo, electric actuators, capable to withstand large mechanical loading (50 KN) under long duration fatigue. In five European projects the degredation of mechanical ? electrical parameters over long time loading was examined, modeled and finally predicted. 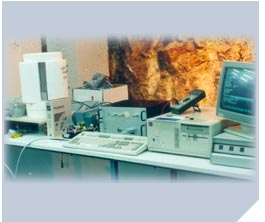 Services include meso macrotesting, micro testing, surface testing, biomechanical testing, thermo mechanical testing, thermo mechanical testing, deformation measurement, etc. IMMG - Institute of Mechanics of Materials & Geostructures S.A. has been quality certified to ISO 9001 2000 and the EN 45001 (ISO/IEC 17025) Quality Standard by the Greek National Council for Accreditation (ESYD). Alfa Y Omega Ingenieros S.A.S.